What Are Fast Food Emissions And Why Are They Killing Us? From trash on the streets to greenhouse gas emissions, fast food restaurants are a source of significant pollution. What are the solutions? Fast food restaurants have become a fact of life throughout the world. In fact, fast food restaurants in the world generate more than $570 billion a year, and the U.S. accounts for nearly half that amount with $200 billion in fast food revenues in 2015. And with a projected annual growth rate of 2.5-percent, there is no end to the number of new fast food restaurants that will crop up around the world. 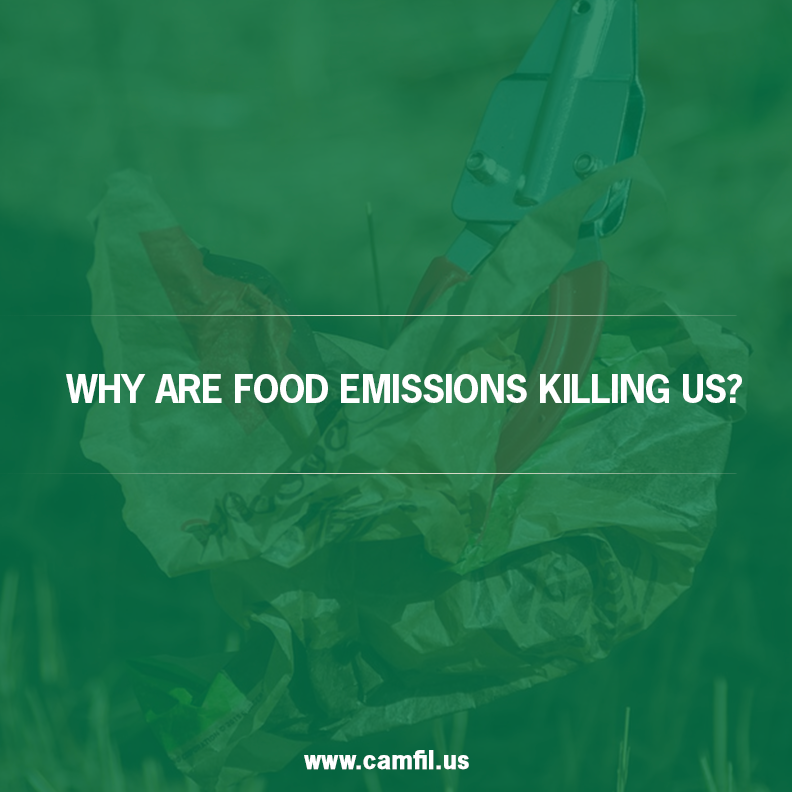 But the problem is that fast food emissions are becoming a real problem, as the harmful pollutants created by these facilities have many scientists concerned about their adverse environmental and health effects. To understand this issue, it is important to first learn the definition of a food carbon footprint, then delve into some of the ways that fast food franchises are trying to deal with this issue. What Is a Food Carbon Footprint? So what is a food carbon footprint, and how does it relate to fast food restaurants? A carbon footprint is the total amount of greenhouse gas (GHG) emissions generated by a person, a facility or by an industrial process such as burning coal. Therefore, a food carbon footprint is a number of GHG emissions generated by the production and transportation of food. The reason why fast food chains generation emissions are that meat products have a significantly higher carbon footprint than vegetables or grains. More troubling is the fact that the eight largest fast food chains in India could generate as much as one million tons of carbon emissions by 2020. Scientists have long identified PM – which are solid and liquid contaminants that become airborne – as one of the most dangerous pollutants to human health. In addition to the PM released by the process, grilling hamburgers also cause grease, smoke, heat, water vapor and combustion products that all contain harmful pollutants. And research has found that short-term and long-term exposure to cooking fumes such as the fumes released by fast food restaurants can have adverse effects on human health. The smoke from grilling contains toxic chemicals known as polycyclic aromatic hydrocarbons (PAHs) that are harmful to the lungs. Constant and long-term exposure to PAHs has been linked to pulmonary disease, gastrointestinal, and cancer. Some chains have already started that process of lowering fast food restaurant emissions. For example, McDonald’s has created the McDonald Environmental Scorecard, which encourages suppliers to observe green strategies to lower their carbon footprint. And Subway, which has more than 44,000 restaurants throughout the world, has introduced eco-friendly restaurants that ban smoking, and that monitor outside air to determine carbon monoxide levels. As you’ve seen, grilling is one of the biggest sources of fast food emissions, so learning how to protect your health when grilling at home is important. One of the best ways to reduce toxic grilling smoke is to precook your meat before placing it on the grill. This reduces the amount of drippings that create the harmful smoke linked to adverse health. Camfil, a major air filter supplier to this industry, has been providing air filtration solutions that help these facilities clean up these emissions, inside and out. In extreme cases, there is even equipment that is designed to spin vast amounts of grease particles out of the air and safely remove them as waste. Careful consideration of the offending contaminants’ makeup, selecting a system specific to the contaminant and volume of contaminant involved, and selection of a ‘removal’ system will go a long way in reducing the carbon footprint associated with an industry people have come to love. 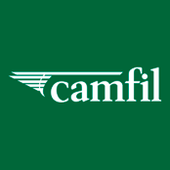 For more than 50 years, Camfil has been providing the most technologically-advanced industrial air filtration systems. Camfil has built its reputation on providing quality on a budget. Camfil operates under the guiding principle that clean air is the right of all humans no matter where they live. The company is well equipped to offer clean-air solutions to any facility that seeks to improve its indoor air quality, and the overall health of its employees.